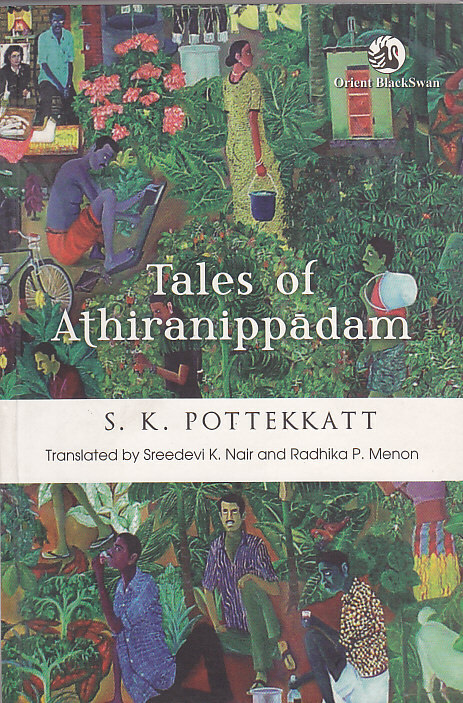 Tales of Athiranippadam, translated from the Malayalam Oru Desathinte Katha, is the fictionalised autobiography of S. K. Pottekkatt, the acclaimed Malayalam writer. This volume was first published in 1971 in Malayalam and won the Sahitya Akademi award in 1972 and the Jnanpith award in 1980. Categories: Fiction, Orient BlackSwan. Tags: 9788125051275, Indian fiction, Indian fiction in translation, Malayalam fiction, Malayalam fiction in translation, S.K. Pottekkat. 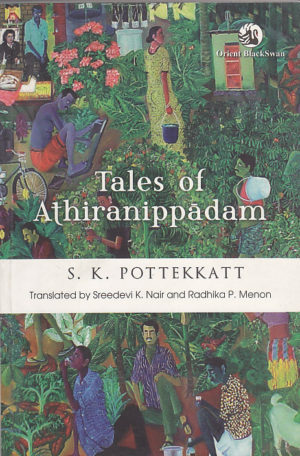 Sreedharan, the central character, offers us a glimpse of the author’s own life in the little corner of the earth called Athiranippadam, where he was raised. The narrative uses an interesting mix of street gossip, fairy tale and recorded history. The characters that people the pages hold within themselves reminiscences of people we have met, conversations we have had, places we have seen and people we may know. Sankaran Kutty Pottekkat made his mark in the world of letters in the 1930s. In his youth, he was witness to historic events like the Mappila Riots in Malabar which was then under the British. These events are reflected in his semi-autobiographical Oru Deshathinte Katha. His writings are marked by his individualistic vision. He was also the pioneer of travel writing in Malayalam and his travelogues gave Malayalees a glimpse into the worlds beyond their shores through his writings. Oru Desathinte Katha won the Kerala Sahithya Academy Award in 1972, the Kendra Sahithya Academy Award in 1977, and the Jnanpith Award in 1980. He died in 1982. Sreedevi K. Nair is Associate Professor of English in NSS College for Women, Thiruvananthapuram, Kerala. Radhika P. Menon is Associate Professor of English in Fatima Mata National College, Kollam, Kerala.